There is a sort of established creepiness about small rural towns in the middle of the mountains, full of quirky inhabitants and no public transportation to get out of there. Mystery often thrives in these kinds of towns, and they are well represented in the media in shows like Twin Peaks and The Twilight Zone. Trüberbrook can definitely be added to that list, developed by German studio BTF and published by Headup, the eponymous village harbors a secret unlike any others. 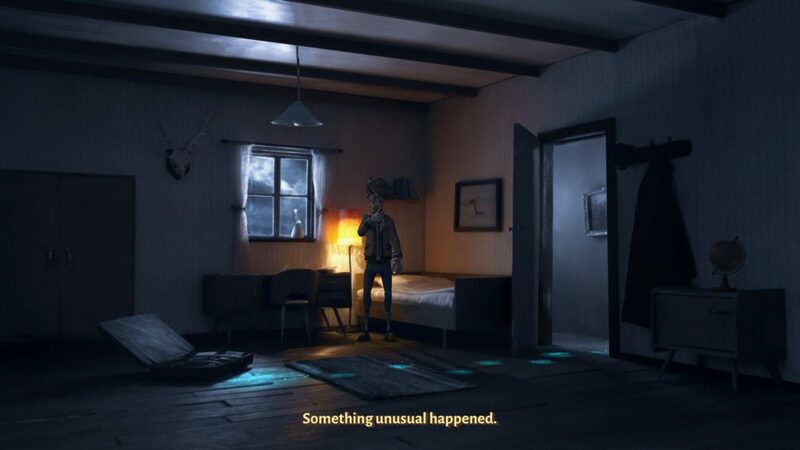 The game is set in the 60s, somewhere in West-Germany. 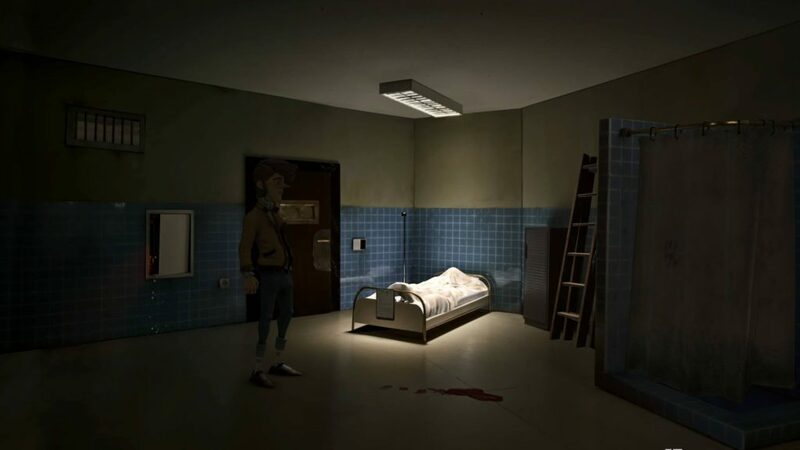 You play the game as Doctor Hans Tannhauser, an American quantum physicist with German roots who has just won a trip to the small town known as Trüberbrook. Immediately it dawns on him that the town is quite remote, full of eccentric people, not to mention he doesn’t even remember participating in any contest in the first place. Still, Tannhauser sees it as the perfect opportunity to work on his scientific papers in a setting of complete peace and quiet, surrounded by nature. Sadly for him, his research notes get stolen by a mysterious figure on his very first night there, leaving him to team up with Gretchen, a traveling anthropologist researching ancient Germanic cults in the area. Together they head out into the surrounding woods, trying to make sense of the strange happenings, missing persons and secret organizations plaguing the town. The story is mostly told through conversation (and the gameplay itself) and there is a lot of backstory you can get just by talking to other characters and hearing them out. There are also newspapers you can read to discover important tidbits of information, as well as the occasional cutscene. The graphics of Trüberbrook are very charming, unique in a way not a lot of games are. When looking closer it is no surprise: the game wasn’t exactly developed in the traditional way. 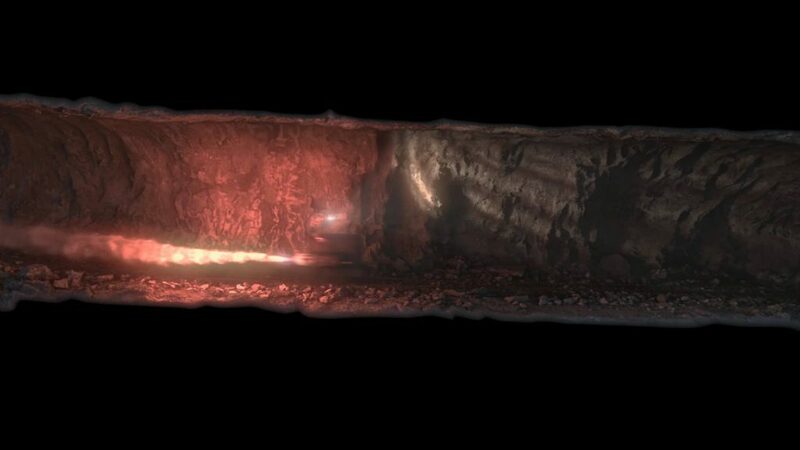 In fact, all the sets were hand-made in miniature by the people working on the game, before being 3D scanned and rendered into digital assets. This allowed for different lighting conditions to actually be used on the set, to simulate different times of day or night. Afterward, with the magic of effects and digital animation, the characters were drawn and superimposed on the sets. The end result is something very much akin to stop-motion animation, with real depth to the backgrounds. For its music, clearly Trüberbrook took a good hard look at the period it was trying to emulate. The soundtrack uses different jazzy tracks that transport you straight back into 1967, the year the game takes place in. Every character is voiced, most with the appropriate German accent, making the experience that much more immersive. And with the exception of one or two, they are all excellent performances, especially the main characters, with a lot of emotion and effort put into the voice work. 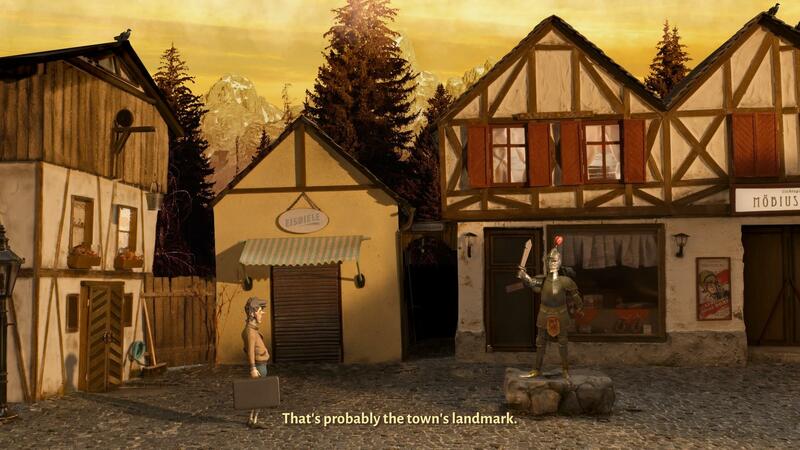 Trüberbrook is a point-and-click adventure game, of the classic kind. Everything can be controlled with the mouse. Clicking on places will let you move there, hovering over some objects makes them glow, signifying that you can somehow interact with them. This interaction can be selected from a small menu: you inspect stuff, use it, or take it with you in your inventory. If it’s a person you also have the option to talk to them. Most conversations are optional, but handy if you want to get some background info on the various characters or the places you’ll be visiting. You will get multiple choices on what to say during these talks, sometimes having to choose wisely if you want the other characters to do certain things for you. Every item you take with you in your inventory can also be used on certain other items, sometimes combining them too. This is the main mechanic of the game, as it is used to solve most puzzles. Usually, these mainly serve the purpose of getting you to the next area to explore. Even clicking on items that don’t go together often gets you a little piece of unique text, and if you want you can spend quite a bit of time going around inspecting everything, sometimes with humorous results. 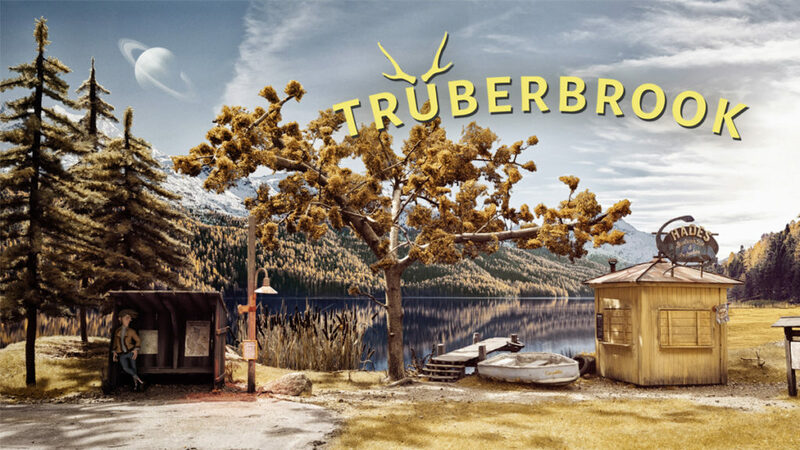 Trüberbrook takes its inspiration from mystery cult classics such as Twin Peaks and The X-files and is littered with pop culture references, which can be quite amusing to discover. Tannhauser also carries with him a tape recorder. For various objects, when you click them, he will record a comment. Later, you can play this recording back if you forget, sometimes containing hints on how to progress. Holding the spacebar will also indicate every object that you can interact with, in case you get stuck, making the game pretty forgiving even for inexperienced gamers. Trüberbrook is a modern take on the classic point-and-click genre. It isn’t overly complicated, with fun characters, a straightforward storyline and just the right dash of humor to keep things rolling. Short and sweet in every sense of the word, don’t expect any life-changing narratives or groundbreaking gameplay. Do expect an enjoyable little game that will certainly keep you amused for its entire runtime. Games are my escape and writing is my passion. Battle Brothers – New DLC will be released soon! Shadow of the Tomb Raider – Final DLC out now!